With its extremely rich and persistent perlage, rich straw yellow to greenish colour, brilliance and luminosity, The Arunda Brut reveals a fruity, wide-ranging bouqet of remarkable fragrance with a slightly aromatic note, reminiscent of golden delicious apples and white blossoms. Full fruity and flattering taste, balanced and pleasant to drink thank of the harmonius interplay of a light, somewhat sweet note and a deliciously bitter finish reminiscent of almonds. An extremly pleasing and uncomplicated sparkling wine and excellent product which is wonderfully suited as an aperitif. Buy now this product together with Ferrari MAXIMUM Rosé 12,50 % 0.75 l.
Ferrari MAXIMUM Rosé 12,50 % 0.75 l.
ready for shipment: in ca. 5 days Ferrari MAXIMUM Rosé 12,50 % 0.75 l.
Prosecco Superiore DOCG Extra Dry Marca Oro Magnum 1,5 lt. - Valdo 21,65 EUR / 14,43 €/lt. Prosecco Amadeus Extra Dry 75 cl. - Podere del Gaio 7,50 EUR / 10,00 €/lt. 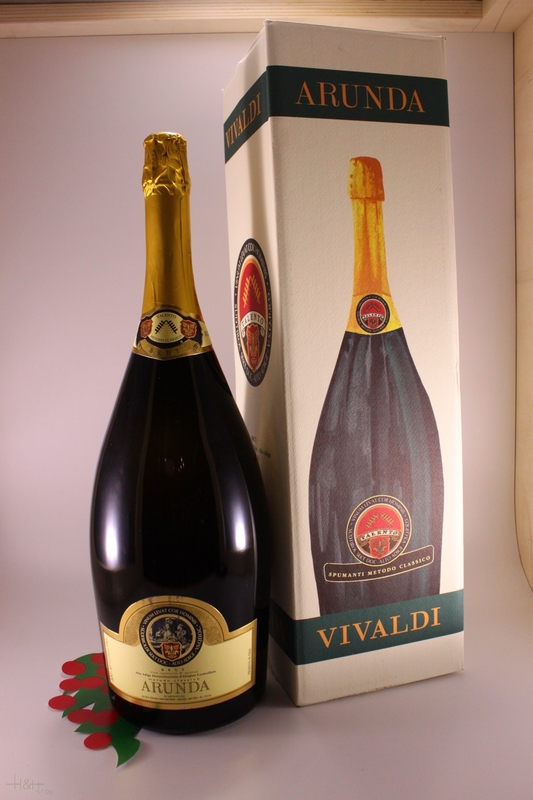 Prosecco Superiore DOCG Brut Cuvee di BOJ Double Magnum - 3 lt. - Valdo 55,70 EUR / 18,57 €/lt. Prosecco Prosecco Superiore DOCG Brut Cuvee di BOJ Salmanazar - 9 lt. - Valdo 263,05 EUR / 29,23 €/lt. Prosecco di Valdobbiadene San Boldo Brut DOCG 75 cl. - Marsuret 13,70 EUR / 18,27 €/lt. 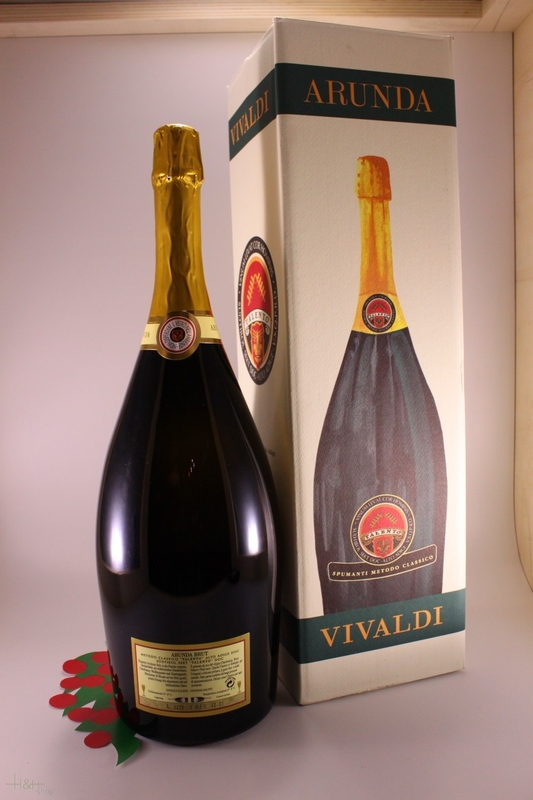 Sparkling Wine Quality South Tyrol Arunda Vivaldi Phineas Brut 75 cl. 57,15 EUR / 76,20 €/lt. Sparkling Wine Quality South Tyrol Arunda Vivaldi Brut metodo classico 37,5 cl. 15,25 EUR / 40,67 €/lt. Prosecco Miol Extra Dry - 75 cl. - cantina Bortolomiol 12,65 EUR / 16,87 €/lt. Prosecco Valdobbiadene Spumante Brut 75 cl. - Belstar 10,70 EUR / 14,27 €/lt. Comitissa Pas Dose Riserva 75 cl. - 2014 - Sektkellerei Martini Lorenz 29,15 EUR / 38,87 €/lt. Spumante Rosè Extra Dry Floral Edition 3.0 75 cl. - Valdo 12,40 EUR / 16,53 €/lt. Lagrein Rosè Brut 75 cl. - Tirolensis Ars Vini 31,60 EUR / 42,13 €/lt.